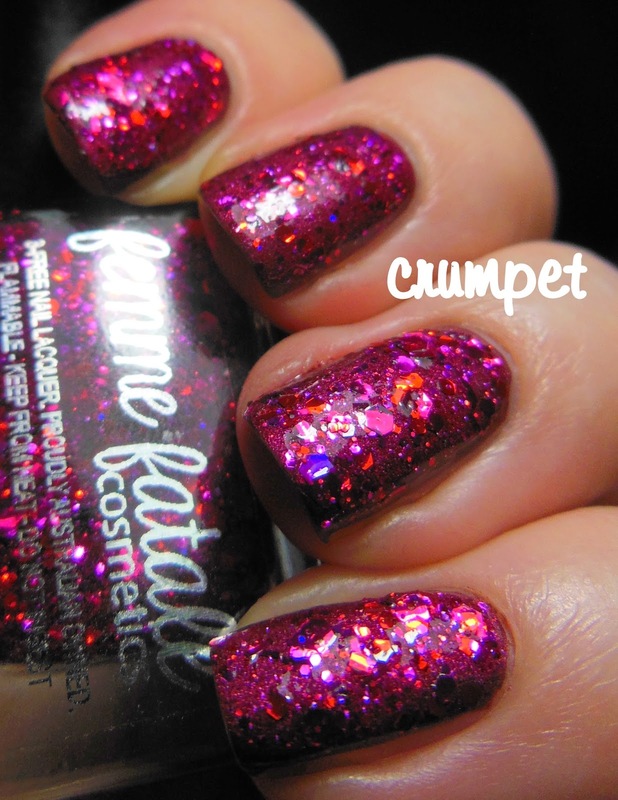 Ah, I do love Femme Fatale polishes. They are always rich in colour, intensely beautiful and perfectly balanced. A real buffet for the nails. 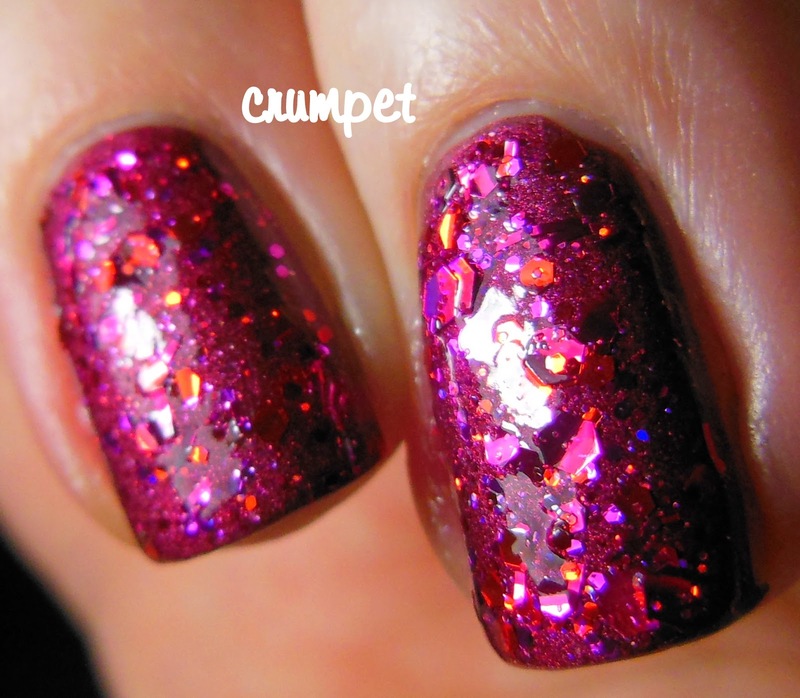 * reddish pinkish base? check. 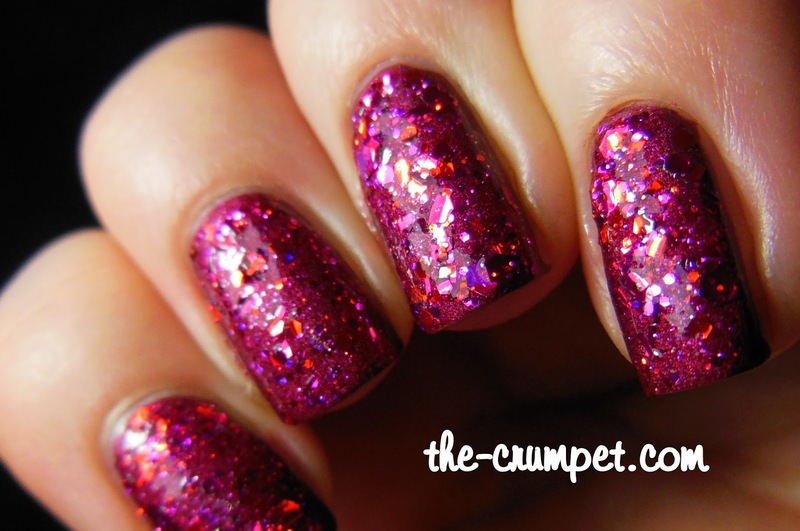 * red, pink or purple glitters? check. 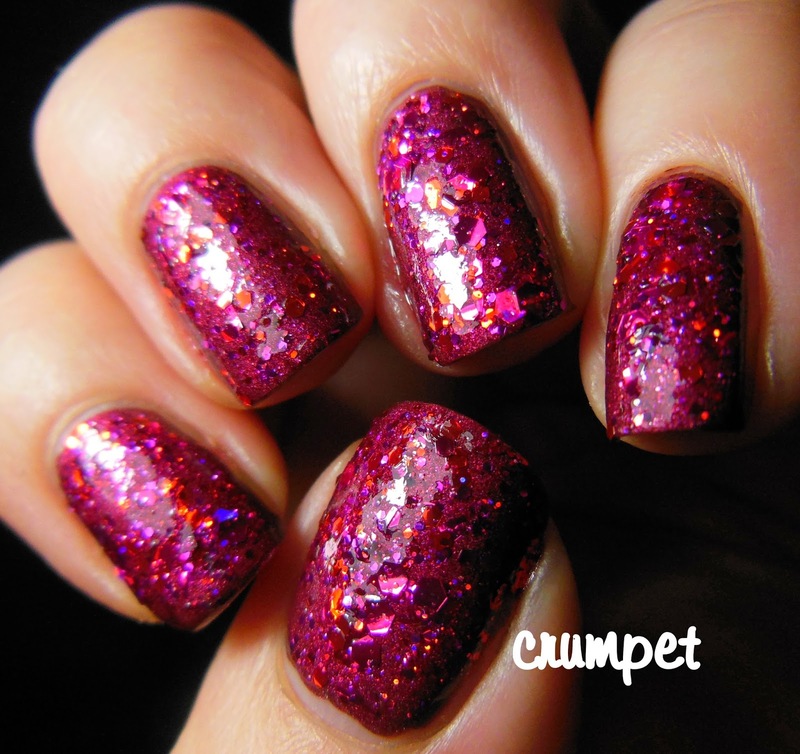 * irregular shaped glitter, incl shards? check. 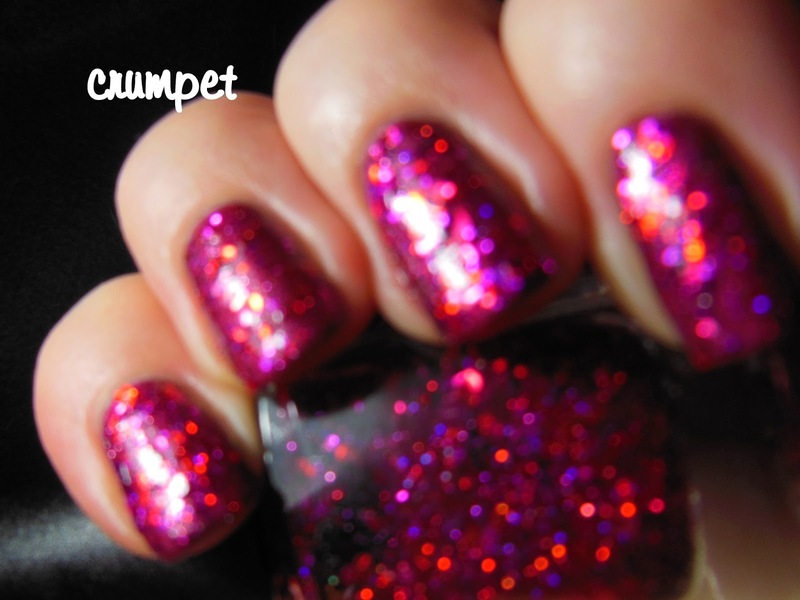 This is some wow of a polish as long as you don't mind removing it :) I have it layered here over the dark ruby base of Mentality Allure, and they made a perfect couple.